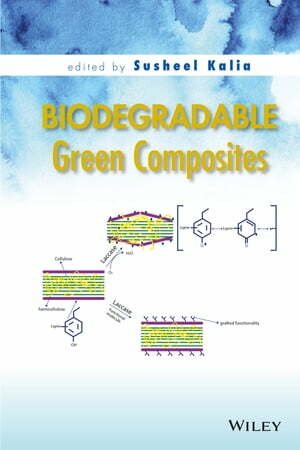 Collins Booksellers - Biodegradable Green Composites by Susheel Kalia, 9781118910917. Buy this book online. This book comprehensively addresses surface modification of natural fibers to make them more effective, cost-efficient, and environmentally friendly. Topics include the elucidation of important aspects surrounding chemical and green approaches for the surface modification of natural fibers, the use of recycled waste, properties of biodegradable polyesters, methods such as electrospinning, and applications of hybrid composite materials.